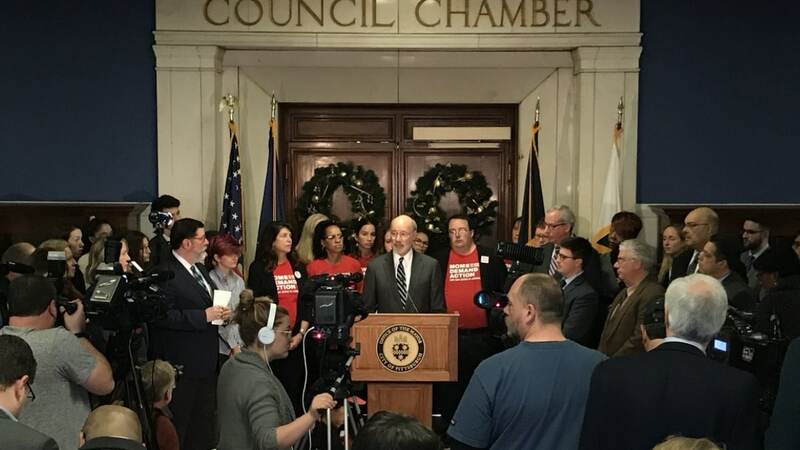 Democrats in the Steel City last week announced a package of laws they would like to enact to ban various firearms, magazines and the like, despite state laws against just such a move. The bevy of new ordinances proposed by the Pittsburgh City Council with the support of gun control groups, Mayor Bill Peduto and Gov. Tom Wolf aims to make it easier to seize guns for those thought to be at risk, ban firearms deemed “assault weapons” by name or features and outlaw bump stocks, some types of bullets, “sawed-off rifles,” suppressors and magazines capable of holding more than 10 rounds of ammunition. “This legislation will help to prevent military grade weapons from reaching the hands of dangerous individuals,” said Councilperson Erika Strassburger, who co-sponsored the legislation that would ban everything from pistols with a threaded barrel to a semi-automatic rifle with a thumbhole stock. However, gun rights organizations to include the National Rifle Association and the statewide group Firearm Owners Against Crime point out that the proposals run afoul of Pennsylvania’s 1974 firearm preemption laws barring cities and counties in the Commonwealth from establishing local gun controls of the sort proposed. The NRA, Second Amendment activists, and gun trade groups took Pittsburgh to court in 2009 and won an important legal victory against the city enforcing past ordinances regulating the transfer and possession of firearms.